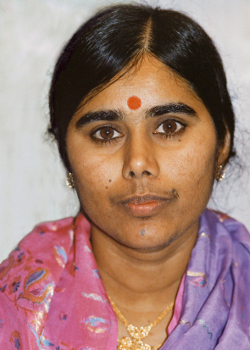 Mother Meera does not conform to the conventional model of a Guru surrounded by disciples. She is the ultimate Mother, always ready for anyone needing her help or blessing, entirely loving, caring and non-judgmental. She gives no formal teaching or complex spiritual disciplines and she makes no demands. As a living embodiment of the Divine Mother she can transform any aspirant simply by a look. As Mother, she accepts everybody to her Darshan, not to instruct or to impose techniques of enlightenment but simply to give whatever is required and appropriate for each individual. Through her own Divine radiance she bestows a Light that helps and guides us – no matter what religion or spiritual path we may be following.